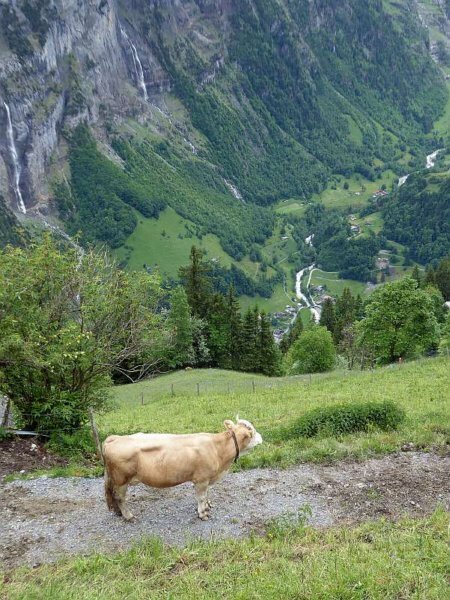 We weren't the only ones enjoying the scenery between Muerren and Gimmelwald...apparently, this cow never tires of the view. (c) 2017, Jessica Thompson Blatz. All rights reserved.